On March 21st, Grassroot Soccer held its second ever HIV Counseling and Testing Soccer Tournament to commemorate Human Rights Day. After our debut HCT back in December, the Soweto site was excited to build upon the lessons learned from the initial tournament to create a festive, educational, and memorable event. With torrential downpours plaguing Johannesburg all week, there were concerns that the weather might not cooperate with our plans for the big day. But after a lot of crossed fingers and an animated rain dance from intern AJ Grant, we were relieved to find that the rain clouds had decided to stay away on what turned out to be a beautiful day in Soweto. 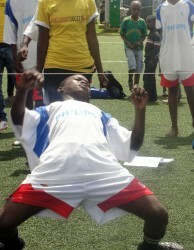 A youth participant in one of our Skillz games at the HCT Tournament. After mitigating a few unexpected obstacles in the morning, the event proved to be the successful occasion we all hoped for. The boys and girls teams played their matches passionately while still following the rules of our “fair play” system, the sounds of the marimba band’s spirited music reverberated throughout the grounds, our coaches delivered Generation Skillz interventions with heartfelt authenticity, and those in attendance were treated to a special visit from famous Bafana Bafana star and local hero Teko Modise. 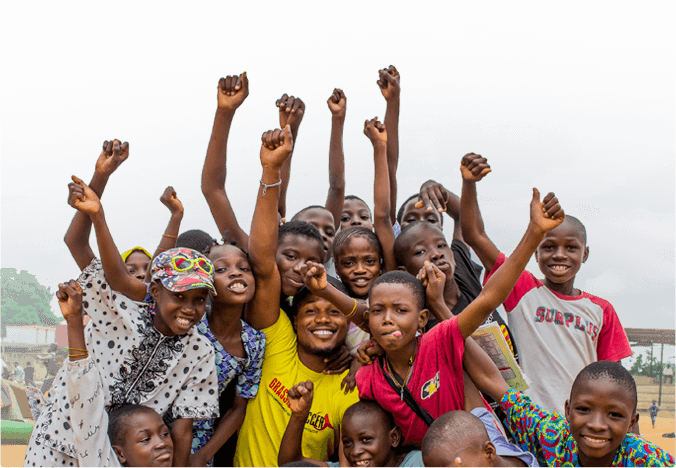 By days end, we had crowned both a deserved boys and girls champion, done more dance moves in a day than most people could hope to do in a lifetime, and tested nearly 250 players and community members. 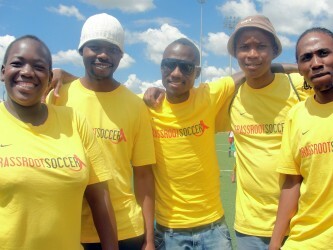 The tournament was also featured in the South African daily newspaper The Citizen. You can read that article here.